The senior in your life doesn’t have to choose between independence or assistance. 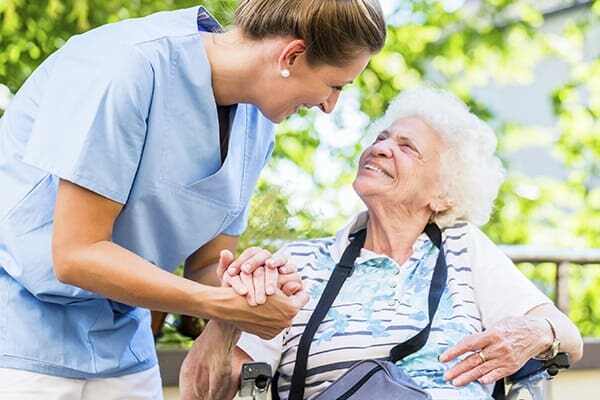 Unlike a nursing home, Pacifica Senior Living Palm Springs is a community of apartment homes where they can have both — the independence of a private home, plus whatever type of supportive aid they need to perform daily tasks and maintain health. If you remember your bygone days in a college dormitory or at summer camp, you recall the fun of living with people your own age who shared your interests and life experiences. You sat together in the cafeteria or living room, where you could play card games, board games, tell stories, share secrets and talk for hours. At Pacifica Senior Living Palm Springs, we recreate that fun communal experience of living with a family of friends. We learn resident personalities before a resident moves into their Pacifica Senior Living Palm Springs home, and our staff meets with their family to learn about their loved one’s life history, daily routines, and particular likes and dislikes.